Why Don’t People Buy Environmentally Friendly Products? Lots of people want to be more environmentally friendly. Not everyone; in fact, some are downright opposed to the idea, and strongly. But even those who want to be more eco friendly in their homes won’t buy the products. Why is that? Confusion may be a large part of the problem. The various claims are confusing and often misleading. People don’t always know which products are really eco friendly versus merely being greenwashed. Many people aren’t at all certain that eco friendly products are going to be as good as conventional products. Conventional products are comfortable to use, and people know what they do. They’ve been using them after all. Eco friendly products, on the other hand, are less well known. Many people don’t have a friend familiar enough with the products to share success stories or to say to avoid particular products that don’t work so well. 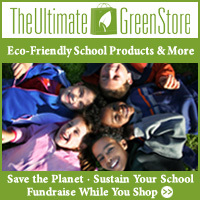 Many eco friendly products are not advertised in the same way conventional products are. You don’t see them on television so much unless they’re made by one of the big brands. While some don’t like to admit it, such advertising has a big effect on how products are viewed. Telling someone that a product benefits the environment is great. Lots of people like to hear that. But it’s hard to get people to take action without a quickly obvious personal benefit. That’s much harder to demonstrate, as the basic benefit of using an environmentally friendly product is about the same as using a conventional product. The potential long term personal health benefits and benefits to the environment are much harder to see. Eco friendly products are perceived as more expensive. That’s because many of the most visible products do cost more. Organic cotton products cost more. Hybrid cars cost more. Solar panels are expensive. Yet many eco friendly products are easily affordable. Vinegar and baking soda work very well as cleaning products, but many people aren’t aware that they can be used in this way or that they do such a good job. Other eco friendly products can also be affordable. Many people feel that what they do personally doesn’t make a significant difference. They’re both right and wrong about that. Choosing eco friendly products can be better for your health, and while you can’t define that difference much of the time, it can be a difference. But even more important is that as each individual makes the choice of buying eco friendly products shows businesses that it’s worth their time and money to provide eco friendly products. Choosing to do business with companies with eco friendly practices makes it worth their while to continue to improve those practices. It takes more than one to make that difference, but if individuals don’t make those choices, the pressure never builds up on the businesses to make the change.